Events often seem too demanding to manage alone. 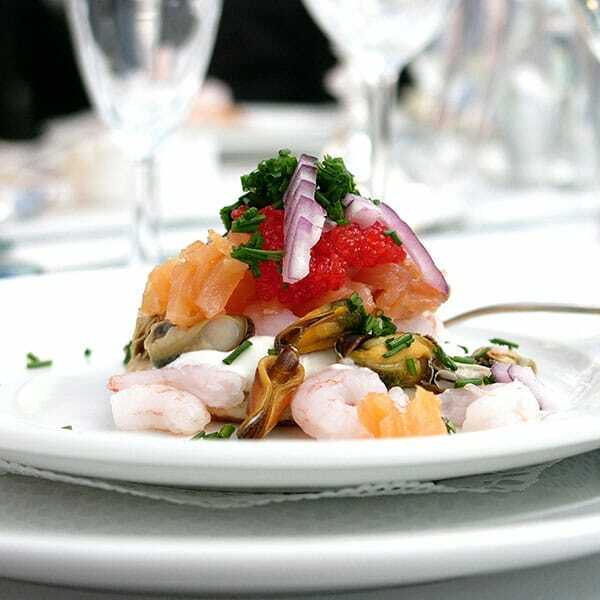 Fiskekrogen is pleased to organise all kinds of events, to provide professional catering services and make party arrangements for groups of all sizes. We bring something extra to birthdays, weddings, celebrations, helping you to ensure that that the event as a whole is a great success. We have fantastic function rooms, but if you would prefer to be in your home environment, that is no problem and we will support you all the way. Sometimes it feels too much to organise the party yourself. That is where we come in. Graduation or birthday, small or large, buffet or sit-down dinner. We provide tailor-made solutions and add memorable moments. We deliver the best food, recommend appropriate drinks, help with waiting staff and even take care of the dishes afterwards. The best deals are made in a different environment. Where you can shut out all distractions, focus on what is important and achieve a result. We make sure you enjoy excellent food and drink here at Fiskekrogen. 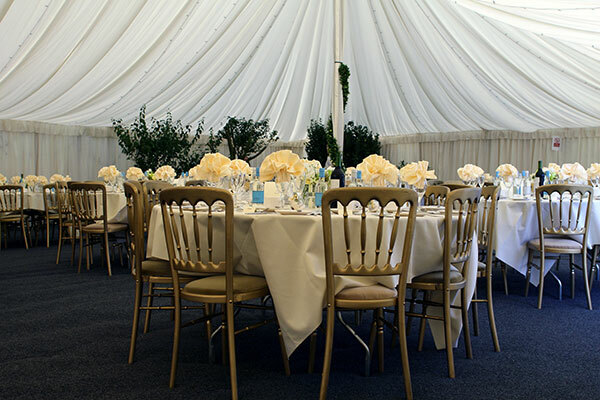 We can also organise a range of completely different corporate events. 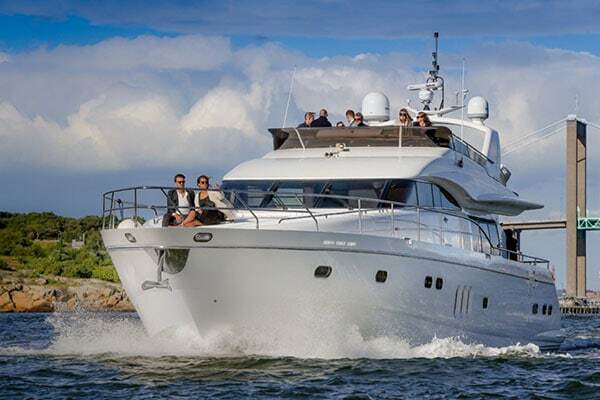 How about spending a day at sea, a confidential business dinner in a discrete room at Fiskekrogen, a larger conference or a team-building event for a smaller group Leave it to us! We have been putting together the “complete package” for many years now and have endless options for creating unique events. When it comes to food, transport and entertainment, leave it to us. Our skilled chefs and dedicated staff are ready to help you with whatever you need. We have beautiful function rooms here at Fiskekrogen, but perhaps you want something a little different? How about a party in the boathouses on Vinga! Or why not in the beautiful Trädgårdsföreningen park? Perhaps you’d like tents in your garden? Leave it to us! Our collective experience and our large network of contacts mean your options are endless. Surprise your colleagues with culinary adventures at sea! We collect your group, provide an experienced skipper, create special menus and ensure you have a memorable adventure in our beautiful archipelago. Perfect for corporate events, weddings and birthdays. To book, call us on +46 (0)31-10 10 05 or email us at info@fiskekrogen.se. Some days are more important than others. They stick in our memories for the rest of our lives. Days when everything has to run smoothly. Weddings are one such day. Graduation parties, birthday parties and anniversaries are others. Idea, concept and execution – we help you with everything you need for a successful event. Total solutions from start to finish. I think it is fair to say that whatever party you want, we can provide it! Over the years, we have arranged many memorable wakes after funerals. Spend some peaceful time together, enjoying good food and drink in one of our secluded rooms. Develop your cooking skills with Fiskekrogen’s professional chefs! 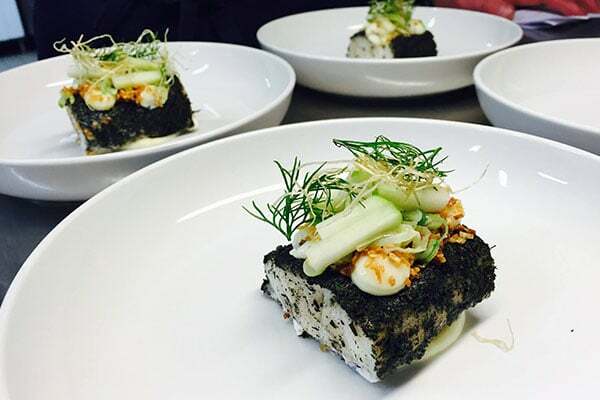 Together, we prepare a 3-course menu, learning more about the raw ingredients and cooking methods as we do so. Our sommelier shows the wines which marry perfectly with the food. These cooking courses are excellent as corporate events, team building or simply as a pleasant evening with good friends! Whether you are connoisseurs of wines or simply a group of friends who want to learn more about this noble drink, why not join us at a wine tasting. 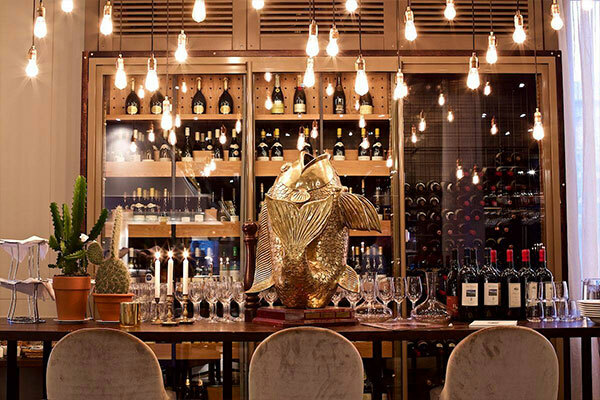 We can adapt the event to suit your wishes, providing you with an enjoyable evening with our knowledgeable sommelier. The lobster season begins on the first Monday after 20 September. Come with us on an exciting hunt for the black gold. This is a perfect way to invite customers, employees or friends to an adventure with a difference at sea. 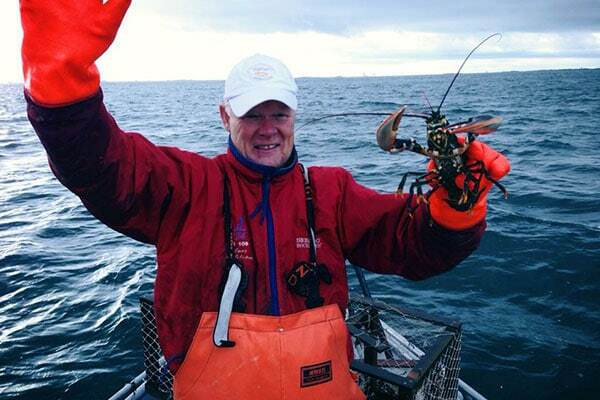 You will learn in which environment lobsters thrive, what is the best bait to use to attract them into the traps and you will, of course, get to empty the pots yourself. Take away is the service for those who want to enjoy good food in your own way. 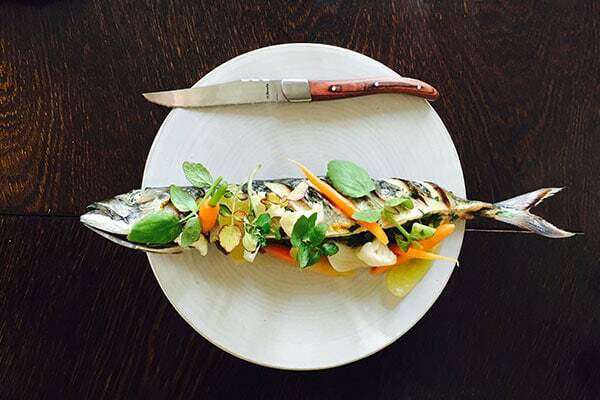 Fiskekrogen offers a wide selection of freshly prepared fish and freshly cooked shellfish. You can also choose prepared dishes for both every day and celebrations. Why not spoil the family a little extra on Friday evening? We are also happy to provide you with good advice on how to prepare your food. Avoid slaving over a hot stove – let us do it instead! We have developed a catering menu to make it as easy as possible for you. Come to the restaurant and pick up your food, already plated and ready to serve. If you would also like help with everything from tablecloths to serving and dishwashing afterwards, we are happy to arrange this. Pinfärska räkor, dillkokta havskräftor, krabbklor samt vinkokta blåmusslor. Serveras med aioli, cocktailsås samt hembakat bröd och lagrade ostar. Om ni vill ha vår hjälp på plats under ert arrangemang tillkommer transport- och personalkostnad.